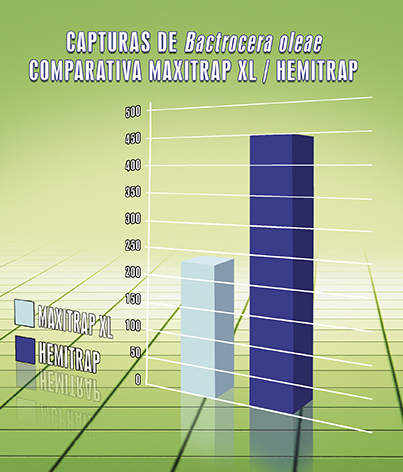 Within the processes of continuous improvement, Probodelt SL presents a new version of the fly trap Hemitrap®. 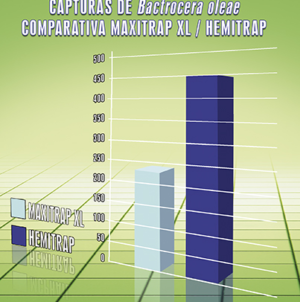 HEMITRAP® is the fruit fly trap, specially designed for liquid attractants, that became commercially available in spring 2013. Hemitrap® 2180-S: with side tubes 8 mm in diameter that incorporate a small screen at the end of each tube that makes them specially selective for small fruit flies like Drosophila suzukii. In this way the number of beneficial insects trapped is significantly reduced. 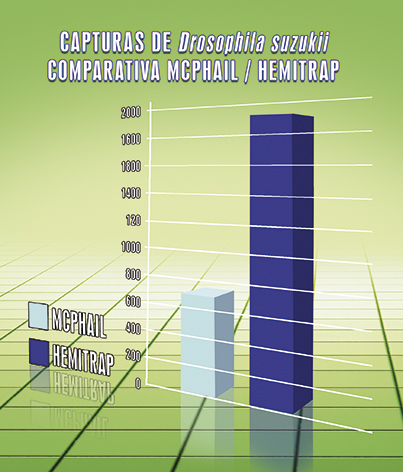 For monitoring and control of Drosophila suzukii recommend using the liquid attractant SUZZII. 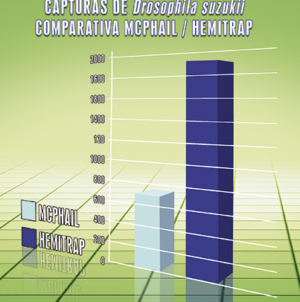 Hemitrap: comparison with others fruit fly traps. Screw cover of transparent plastic material. Hemispherical base yellow-orange, with 3 side windows, made of plastic material. Three sets of seven lateral tubes yellow-orange, with an improved and innovative design, made of plastic material, that achieve very high and selective captures. These pieces are easily assembled to the side windows of the bucket. 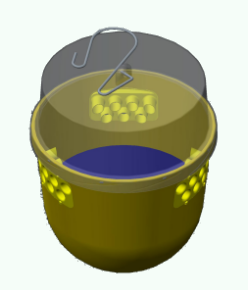 This design improves mass trapping (efficacy and preservation of beneficial insects) as well as monitoring (efficacy and ease of counting of flies trapped). The fly trap can be used with both solid and liquid attractants. The fly trap is sold in boxes of 50 units. For mass trapping: 650 cc. 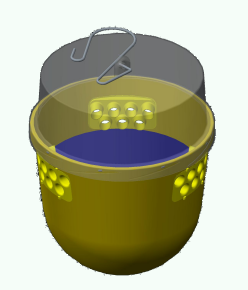 It is the maximum amount of liquid to the lower level of the side windows of the bucket. For monitoring: 320 cc. 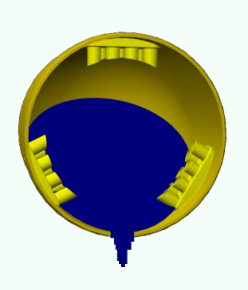 It is the maximum amount of liquid that can be poured into another container without spilling the liquid by the lateral tubes. For monitoring D.suzukii, as the usual amount of liquid used are 250 cc, this fly trap allows pouring the liquid with the flies trapped into another container without any difficulty. Vertical support. 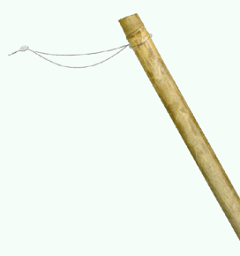 For horticultural crops, to keep the trap hung anywhere in the plot, a vertical support that can be stuck in the ground is supplied. Compatible with integrated and ecological production.